The acoustic isolation and overall sonic purity of AudioVision's recording booth provides a great sound and a comfortable environment for voice talent. The booth can easily accommodate 3 to 4 people, making it a great choice for multiple voice projects. Also included is video playback. 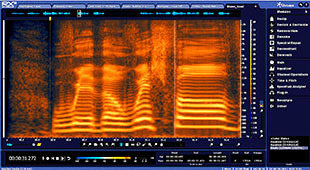 In addition to an extensive library of pre-recorded sound effects, AudioVision can also custom record (either in-studio or remotely), any needed sound effects. 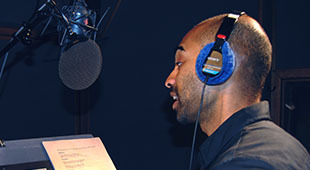 We also can provide complete Foley recording and cutting in a world class Foley stage. 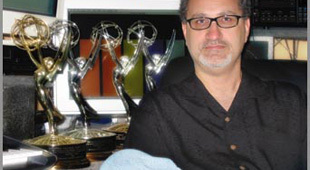 With our Emmy Award winning composer and arranger, AudioVision can provide full custom scores as well as 'semi-library' music. This means we can modify or embelish 'library' tracks to suit a particular need at less cost than a original score. Studio A has been mixing 5.1 projects for years, and was designed for good translation to most any room size. A large dub-stage feel in a smaller, more intimate setting, Studio A is the perfect the setting for 5.1 mixing of Indie features and Television programming. Daily and weekly radio production for local and nationwide outlets. 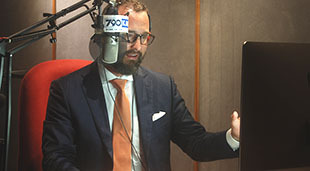 ISDN and Source Connect alows us to quickly connect to stations airing some of the most popular shows today. Count-down timers and GPS master clock are available. We can transfer 1/4in., 1/2in., and 2in. 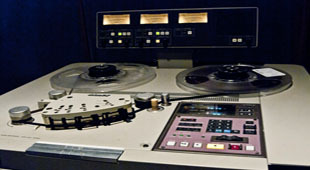 audio tape, as well as 33,45,and 78rpm phonograph records to digital files. Also, we can provide sophisticated noise reduction processing and output in all popular digital audio formats. 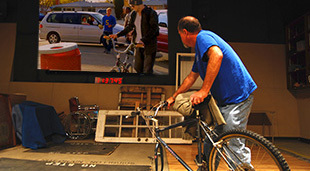 AudioVision provides full ADR services for film projects. 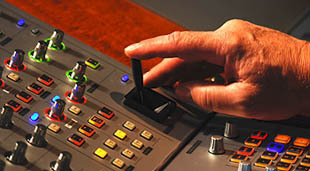 The Fairlight ADR system is one of the most sophisticated and flexible systems available today. Complete Foreign Language services are available, including translation, voice talent casting and session supervision. 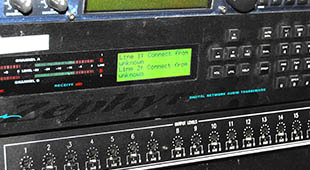 Our Telos Zephyr ISDN codec provides world-wide connections to studios and talent. Source Connect offers an IP solution for high-quality audio transmission at a significant line-charge savings. Available to both producers and voice talent. Utilizing the latest and most powerful software tools available, AudioVision can perform near miracles on poor quality audio. Reverb reduction is one such tool that can literally save an otherwise unusable recording. AudioVision Production Services © 2017 - web design by the Big Guy Himself.